How San Francisco's Biggest Miser Became City's Greatest Philanthropist. 1847-1877. Here James Lick, the miserable-tramp-turned-miserly-millionaire, built the Lick House, the greatest hotel in the world. The dining hall was an exact replica of the Palace of Versailles, while the salon's walls displayed the works of America's greatest muralists, separated by great mirrors in intricately-carved rosewood frames. Back in 1847, Lick had been the lowest bum in town, having apparently squandered his fortune by buying up a parcel of worthless sand dunes. For years thereafter, the emaciated Lick was to be seen slinking around with a gunny sack on his crooked back, begging bones from butchers. Meanwhile, the Gold Rush had arrived, and Lick's "worthless" dunes became Montgomery Street. With his profits Lick built a mill near San Jose, where he would grind his scavenged bones and use the bone dust to fertilize the orchards he planted. Before long, he was the richest bum in town -- but still a bum. Lick continued to slink around in his one filthy, reeking suit, friendless and disheveled, despised by everyone. Too cheap even to buy meals, his gaunt frame lent him the appearance of a human skeleton. This was the man who built Lick House, which single-handedly turned Montgomery Street into the San Francisco version of the Champs Elysees. Still, Lick continued on his miserly path, refusing to dress or comport himself in any other way than that to which he had grown accustomed. 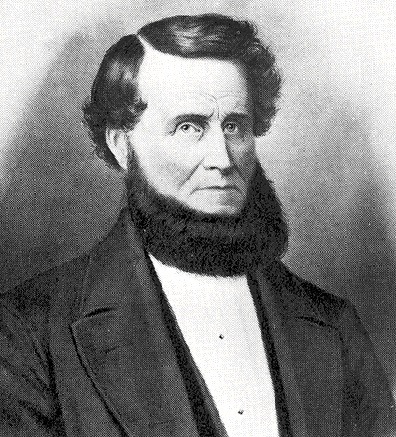 Finally, in 1873, Lick called on one of his few acquaintances, George Davidson, President of the California Academy of Sciences, with what seemed to everyone a highly improbable proposition: before he died, Lick said, he would like to give away his entire fortune. With Davidson's assistance, Lick gave away millions: over a million for an observatory on Mount Hamilton that was to be the world's most powerful; a home for the California Academy of Sciences at Fourth and Market Streets; millions more for schools, asylums, and even the S.P.C.A. In his weirdest gift, Lick spent a large portion of his fortune funding the Lick Baths, where the poor could bathe free of charge. "Tell them to wash and be clean," said the filthy, rich philanthropist in what would ironically become his best-remembered utterance.